Coast to coast and points in-between, you’ll want to snap a pic in front of these artsy walls. 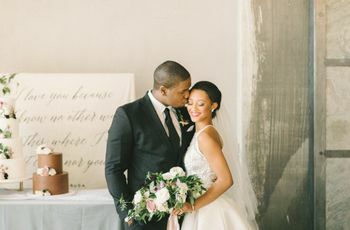 Wedding signs are huge these days, so we’re not surprised to see wordy walls and murals masquerading as too-cool-for-school wedding photo backdrops. 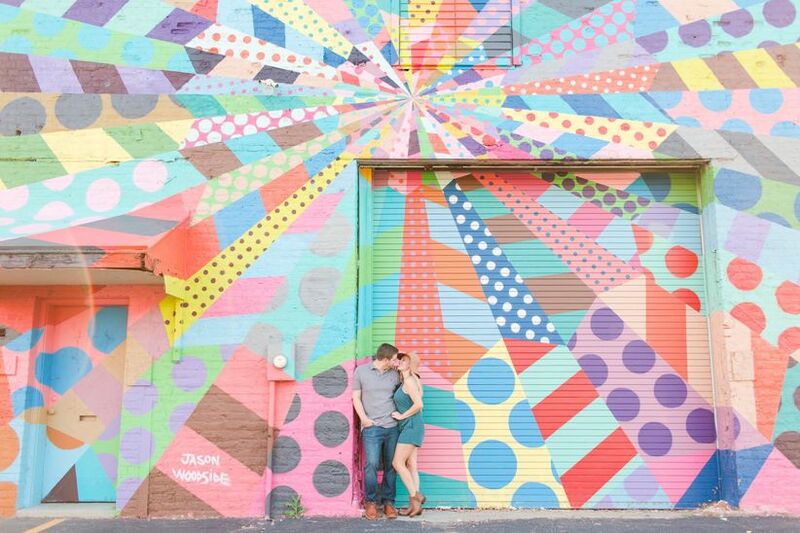 Whether you’re planning your engagement photo shoot or dreaming up sweet outdoor locations for wedding day portraits, adding a funky wall or mural to the mix is totes fun. 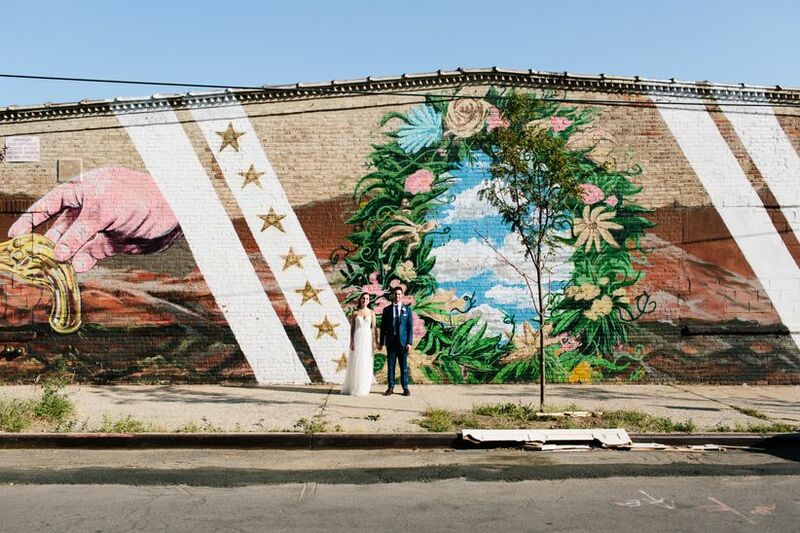 You may already have a hometown or destination wedding location mural in mind. If not, check out some of these cool murals for inspo. 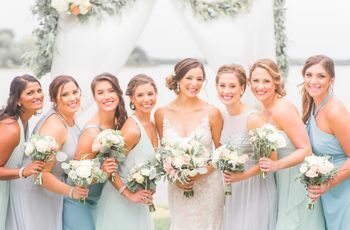 Here are some of our favorite creative and colorful wedding photo backdrops. Dedicated to self-trained artists, this Federal Hill museum is the epicenter of Baltimore cool. 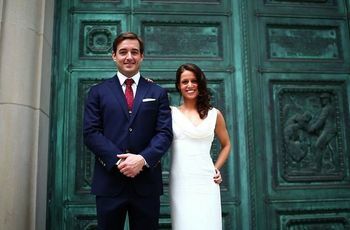 However, it’s their “LOVE” sign set against the brick facade that makes this such a great wedding photo backdrop or engagement photo location. 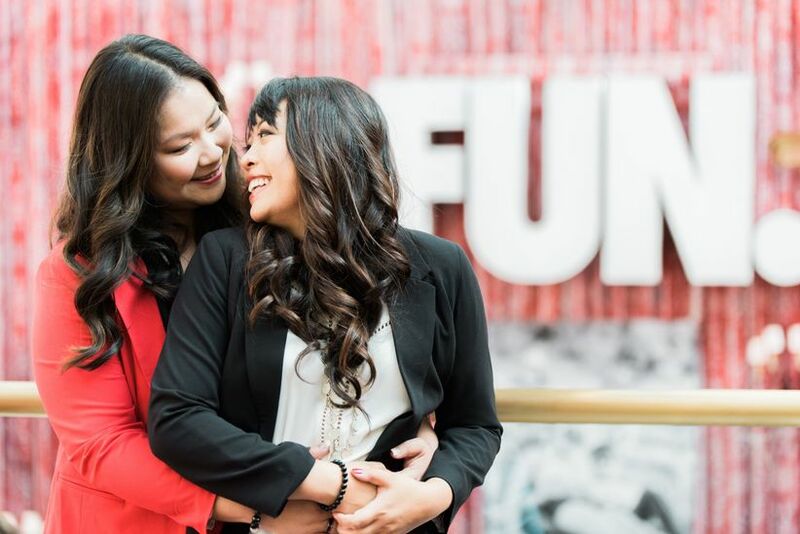 This bright red wall of rock and roll memorabilia is perfect for engagement photos. You’re set against a fun backdrop, but it won’t overshadow you two as a couple. 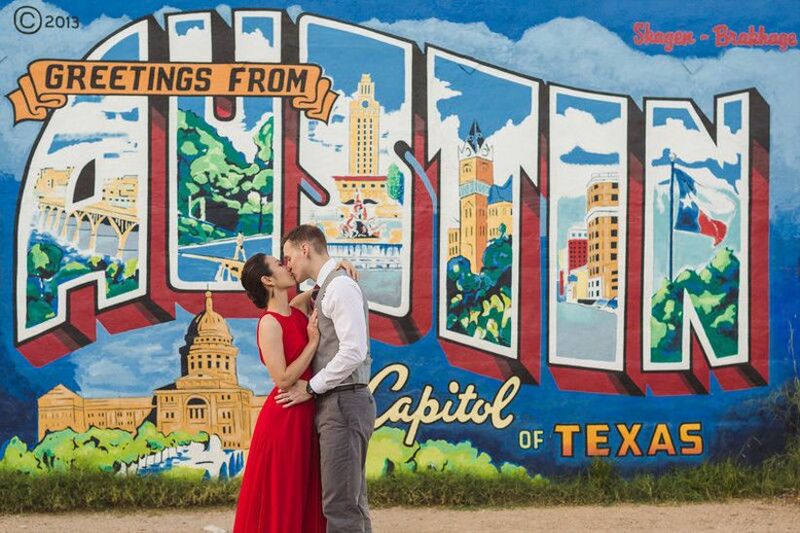 Around since 1998 and world-famous since the advent of Instagram, the Greetings from Austin mural is a showstopper on every ATX traveler’s (and engaged couple’s) bucket list. A recreation of an old-fashioned postcard, this mural can be found on the city’s southside at 1720 S. First Street. These pair of 80-foot-long murals in Brooklyn’s DUMBO (Down Under the Manhattan Bridge Overpass) neighborhood became Internet sensations as soon as they were dry in 2013. 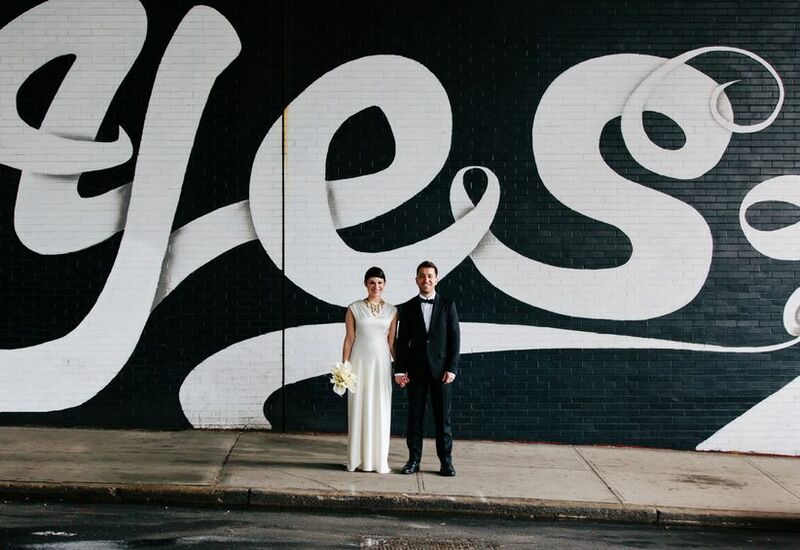 While both are equally stunning, it’s the black mural with white lettering that seems to really beckon couples as the ultimate wedding photo backdrop. These can be found just outside of the York Street subway station, on the Jay Street underpass. 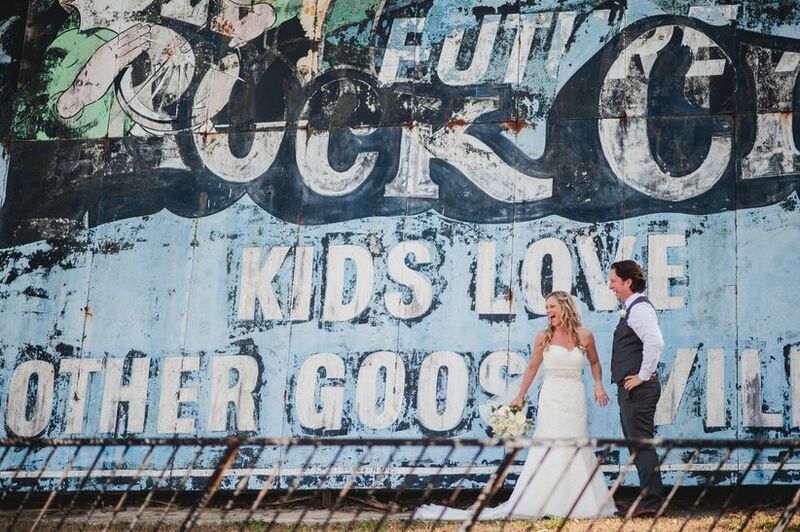 Located on the side of Legacy Farms in Lebanon, TN, this cool retro mural is an added perk to any rustic Nashville barn wedding. The Red Hook area of Brooklyn has long been a hotbed of talented public artists. A wander down just about any street is bound to turn into some mural-gazing, particularly near the artist community at Pioneer Works. If you happen to be planning an engagement or wedding photoshoot in the area, you’ll definitely want to leave some time for wandering around and posing in front of cool wedding photo backdrops, like this couple. 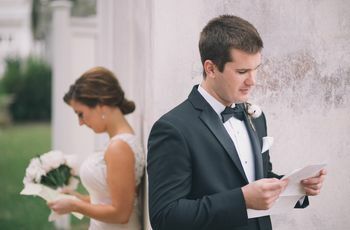 What better message from the City of Brotherly Love than than a series of “love letters” from Philly native Stephen Powers to the current residents? Taking his experience with graffiti, the artist created 50 murals with various words of love and encouragement along city’s Market Street. 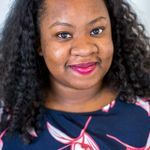 It’s hard to pick a favorite, but this “Hold Tight” is definitely up there as the perfect wedding photo backdrop or engagement photo backdrop. Couples far and wide have flocked to this South Congress landmark for nearly a decade, and for good reason. 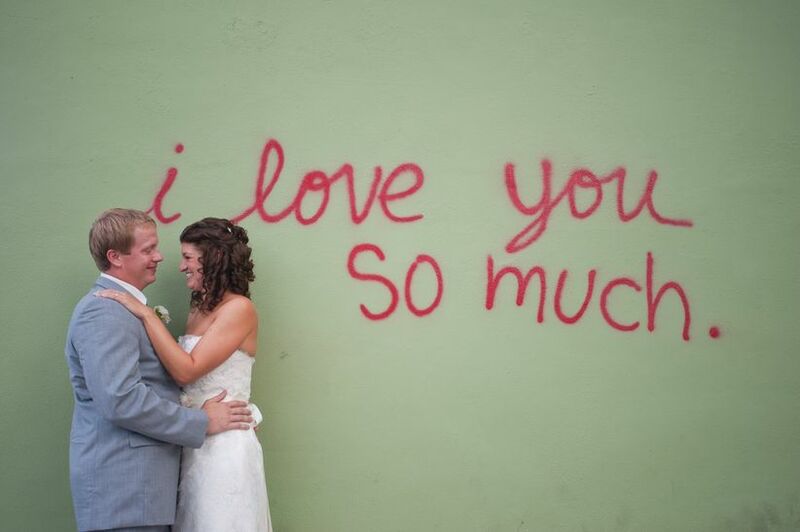 This simple, spray-painted wall lives on a popular coffee shop (Jo’s Hot Coffee, 1300 South Congress Avenue) was created by Jo’s partner, a local musician, as an impromptu, candid love note. 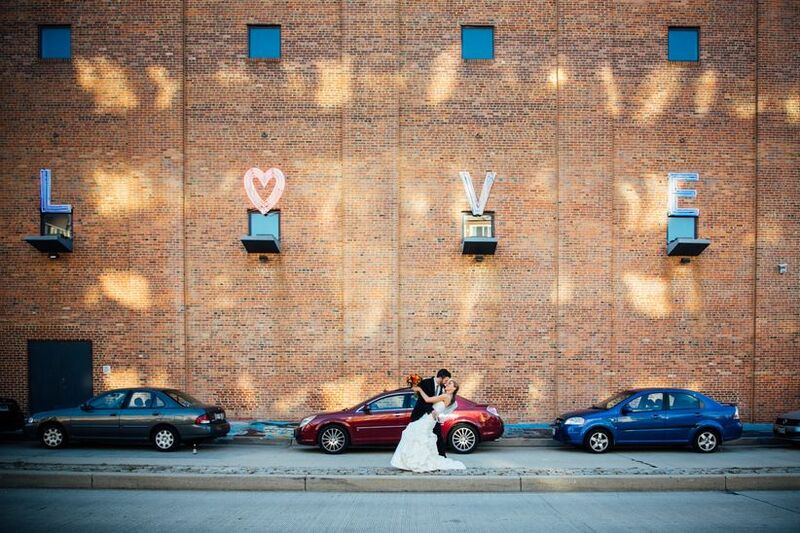 Another couple’s love story makes for great wedding photo backdrops! If you love color and live in Virginia, you can’t miss Jason Woodside’s psychedelic color treatment at 646 N. 7th Street. 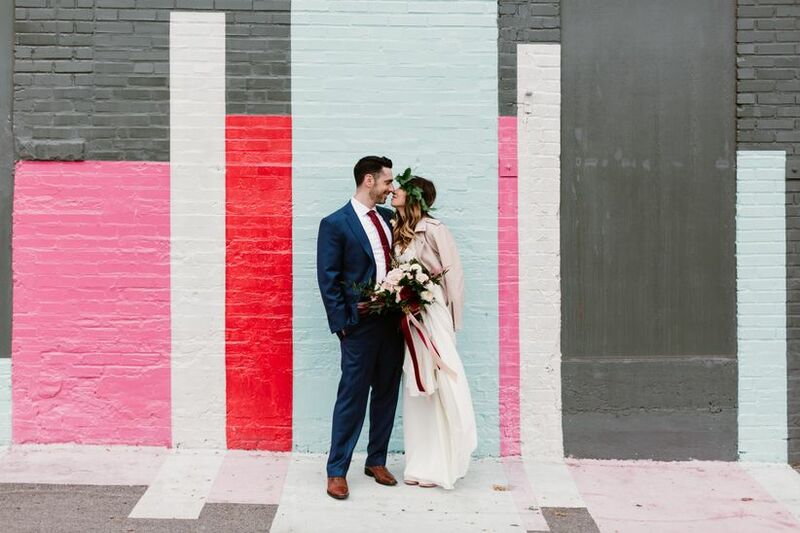 Part of the Richmond Mural Project, this technicolor dream doubles as an enviable wedding photo backdrop.